There’s an app for that? There’s a GROUP for that! Love running? There’s a group for that. Live in Arlington? There’s a group for that. Enjoy good food and fine wine? There’s a group for that. Work in Dupont Circle? There’s a group for that. The Membership Outreach Committee is dedicated to helping members make connections, build relationships and have the best League experience possible. One way ladies can meet each other is to gather around common interests. The Small Groups Program matches members with common interests and/or locations in order to foster strong relationships. 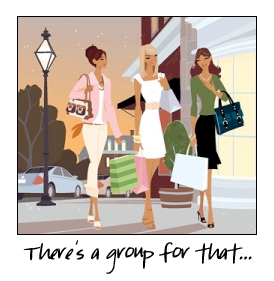 Each small group of five to eight women, meets monthly to socialize and/or to attend JLW events together. JLW Small Groups have two cycles, one in the fall and another in the spring. The Fall Kick-Off Event was held on Tuesday, October 18, in the courtyard at League Headquarters. Approximately 100 ladies gathered for a wine tasting and an opportunity to meet their fellow group members. There was delicious food, stimulating conversation and a variety of wine. League members mingled and met their fellow small group members for the first time. Now the groups will plan their own outings and activities for the coming months. Membership Outreach is looking forward to hearing about all the fun events the ladies plan and attend together. If you missed the fall kick-off and are interested in joining a group in the spring, keep an eye out for details in January! For more information about joining the Junior League of Washington, please click Join below. The Junior League of Washington has raised millions of dollars for the Washington, DC, community over our 105-year history. When combined with our trained volunteers, we leverage one dollar raised into four dollars given back to the community. Want to help?